Voice search is the next big thing. Companies like Amazon are using AI to develop specific voice related capabilities to replace or even enhance the visual search by voice in the coming few decades. The Amazon Echo, often called "Alexa" because of the spirit-like voice that Echo owners talk with, is the gateway to this market from Amazon. Amazon Echo integrates with the Amazon account to play music, shop and answer questions or just generally converse with the user. Things, however, have gone beyond this and these AI powered assistants can do a lot more now. But there are few things you must keep in mind before buying Alexa. Alexa is always listening & recording: Amazon's Alexa is supposed to be completely secure. 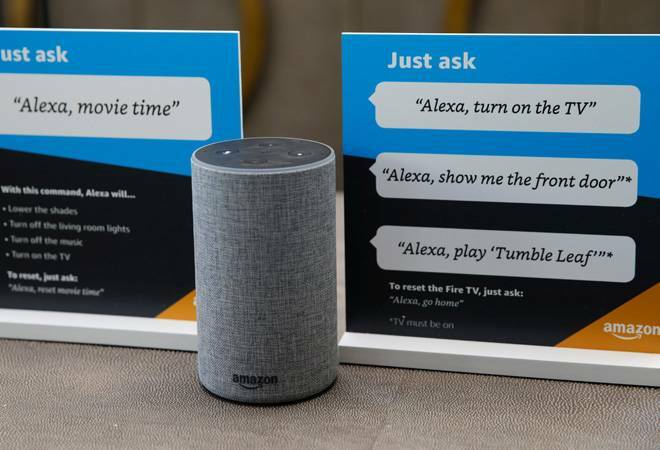 Time and again, Amazon has said that it doesn't record a conversation until someone says 'Alexa'. However, that claim has fallen flat. Recently, a resident of Portland, Oregon, Danielle, said that Alexa recorded a private conversation she had with her husband and sent it to a random number in their address book without their permission. It is quite possible that Alexa is recording even when the consumers aren't aware. However, Amazon called it as "an extremely rare occurrence". Amazon wants you to shop more: Amazon wants you to buy everything from groceries to clothes to electronic equipments from its site. Voice based shopping just simplifies the process without you having to lift a finger. Alexa helps Amazon to reduce the time user wastes in ordering and it also increases the chances of you buying impulsively. So, get ready for higher monthly shopping bills. More advertisements: Alexa knows your likes and dislikes. It also knows when you want what. All this enables Alexa to serve related advertisements in future. Amazon is already in talks to let companies promote their products on Alexa. Ads will use buyers shopping history to suggest products. Brands are fighting it out to get the top placement for their ads on Alexa as consumers are more likely to select the top result on Alexa than on the web. Amazon Echo is susceptible to hacking: Echo Look is one of the newest additions to Amazon's line of Echo-branded devices. It features a camera that can take a snapshot or video. Echo devices also have inbuilt microphones. This brings us to the darker side of having a video-enabled assistant at home. There's always a threat of such voice & video device being turned into a wiretap. Echo needs Wi-Fi: Alexa won't respond without an active Wi-Fi connection. The personal assistant depends on the internet connection to perform almost every task. The Echo also does not have an Ethernet or mobile SIM slot. Therefore, to make the most of your Amazon Alexa investment, a Wi-Fi connection or hotspot must be available to get started and to take advantage of all that the device has to offer.